​Growth often translates into a need for more capital to fuel opportunities. Successful businesses anticipate opportunities and prepare for them. It is therefore important to make sure your finances are in order and you are able to successfully manage your cashflow to facilitate growth. We spoke with Intuit Technologies, a Dell Partner who has experienced success with WCS. 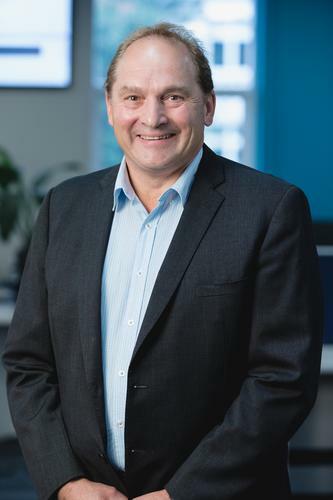 ICT reseller Intuit Technologies has been operating out of Tasmania for more than 20 years, with close to 100 employees and three offices in the island state, one in Melbourne and another on the Gold Coast. The vast majority of the company’s business is in Tasmania, which means that inventory deliveries take a little longer, and this has proved to be an added challenge in cash-flow management. Which means that every month there was the need to find new finance and maintain a flexible approach in doing so. Kolkert describes how they were “facing either a cash-up-front model or a financed model. We didn’t want to go on a cash basis because most of the products we sell go into projects, so what we’re looking for are terms – as big terms as we can get”. WCS takes advantage of the Channel Finance product offered by Wells Fargo CDF*. In providing their partners with access to this program**, they have enabled their partners to hold enough inventory to meet demand without tying up cashflow. This in turn helps them remain agile and flexible. He says he no longer has the pressure of managing lines of credit and the funding arrangements. “I just don’t worry about that any more. If someone comes along and says they’ve got this deal that’s about to go down we just process it and it just happens. *Wells Fargo CDF are a leading provider of specialised inventory financing solutions and services. CDF delivers when it comes to helping facilitate the manufacturing, distribution, and sale of products across a variety of industries. From powersports, marine, and recreational vehicles, to outdoor lawn & garden, agriculture, technology, and electronic and appliances. CDF’s team of industry experts have the know-how to create a solution that’s right for you and your growing business. As one of the world’s most valuable and recognised financial services companies, Wells Fargo has been helping businesses gain greater strength and stability for more than 160 years. With over 40 years’ experience* as a leading local floorplan and channel financer we have the resources and expertise to unlock a winning new combination of solutions and services. ** Subject to Wells Fargo CDF approval and meeting Wells Fargo CDF credit criteria. © 2017 Wells Fargo International Finance, LLC, Wells Fargo International Finance (Australia) Pty Ltd and Wells Fargo International Finance (New Zealand) Limited. All rights reserved. Wells Fargo Commercial Distribution Finance is the trade name for certain inventory (floor planning) services of Wells Fargo & Company and its subsidiaries including Wells Fargo International Finance, LLC, Wells Fargo International Finance (Australia) Pty Ltd and Wells Fargo International Finance (New Zealand) Limited (collectively, CDF). This advertorial does not have any legally binding effect and is not, and shall not be deemed to constitute, an agreement, obligation or commitment of any kind whatsoever on the part of CDF or any of its affiliates.